Satellites are shrinking, and so is the cost to build them and shoot them up into orbit. Cubesats, which weigh 1.33 kilograms or less, have become popular for researchers with grants and federal agencies like NASA. But their price, while lower than clunky old-school satellites, has remained out of reach for those who can’t pay a mortgage’s worth of money and don’t know how to hitch a ride on a rocket. Enter picosats and femtosats, Cubesats’s smaller, cheaper siblings—and the companies that will help you send them to space. The newest orbiter on the scene is called ThumbSat. For $20,000, the company provides a “Mission Builder” application and then the hardware that becomes your personal satellite. As if you were building a Squarespace website, you can pull together different components that will allow you to design a tiny satellite full of measuring, image-capturing devices. Once your sat is made flesh, it will weigh 25 grams or less—about as much as a silver dollar. Using the available camera, with 2048 by 1536 pixel resolution, and lenses, the Thumbsat can function as a microscope, a “macro” scope, or a telescope. On board, it has 128 megabytes of hard memory and 512 megabytes of flash memory. Once you have your brilliant idea for what you’d pay $20,000 to study, ThumbSat handles all the paperwork. They set your sat up with a launch vehicle; track its position with their ThumbNet set of tracking stations; and procure the radio-transmission licenses necessary to send data from your device back down to Earth. The satellite itself will also come back down to Earth, falling back through the atmosphere after 8-10 weeks (with the best view ever). ThumbSats are small enough to totally burn up on re-entry, not endangering anyone below and not contributing to space junk above. Part of the problem with small satellites in the past was the “getting to space” part. To be viable as the primary reason for a rocket launch, the number of picosatellites has to be huge. And because of that, the “secondary” payload market becomes the primary option—in which launches meant mostly for bigger projects let their smaller cousins squeeze into some empty spaces. The 5-cm-sized PocketQubes ($35,000) wants to launch their sats in batches, or “cluster launches,” to make the rocket fuel worthwhile. But sending rockets to space is becoming ever more common, and thus, as economics promises, cheaper. Private companies like SpaceX are expanding both their reach and their technology. And as they grow, so will opportunities to plunk homemade satellites onboard. Tiny satellites are also on the rise because batteries are better—and smaller—than they used to be. After all, a traditional 9-volt battery, or even your old cell phone’s lousy power source, would more than double the total weight of a ThumbSat. Today, solar cells that weigh just 85 milligrams per cm2 of surface area can be around 29 percent efficient. Lithium-ion batteries, thanks in part to industries like the electric car market, can deliver more than 200 watt-hours per kilogram. Holding together the batteries and circuits, and keeping them from harm, most companies, like PocketQube, choose to use aluminum or its alloys. These materials have a density of just 2.8 grams per cm3, or just under 3 times the density of water. Soon, engineers will probably build these housing structures layer by layer, from the ground up, with 3D printers. The personal satellite revolution is also brought to you by shrinking computer circuits. Moore’s Law is an observation-based dictum that says, “The number of transistors on an integrated circuit doubles every two years.” Translated, that means computing power becomes more powerful and cheaper all the time, which you know if you recently replaced your laptop. Because of that, we can shove more and more computing power into smaller and smaller spaces. And the boards are more flexible than they used to be, meaning that you can program a provided board to do your bidding. The PocketQube features such circuitry, as well as a thermometer, accelerometer, gyrometer and magnetometer. 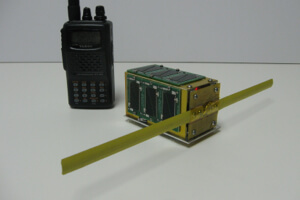 The TubeSat, available for $8,000 (including the launch, like ThumbSat) from Interorbital Systems, provides the same reconfigurable power through printed circuit boards and a microcomputer. 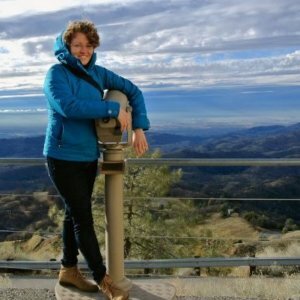 With it, you can take video of Earth from space, measure our planet’s magnetic field, track animals migrating miles below, and monitor the spacey environment just above Earth. 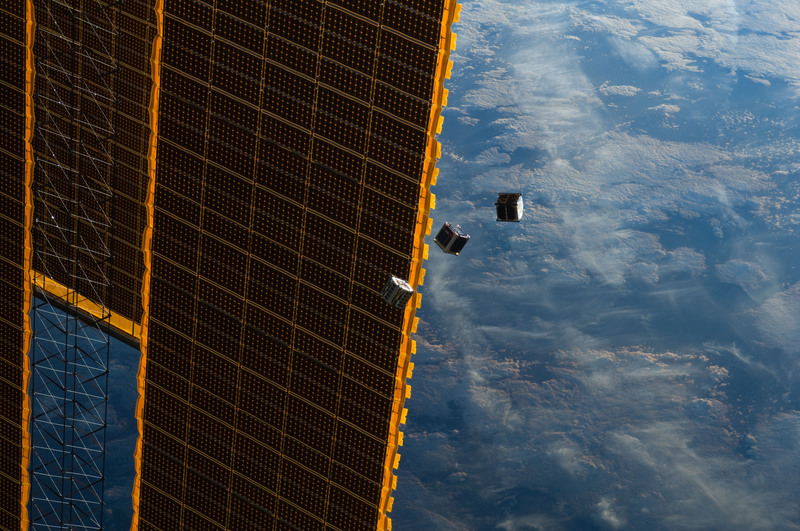 It is bigger than the others but just ¾ the mass and volume of a CubeSat. Like the ThumbSat, the TubeSat sends data back to Earth on radio frequencies. However, the user must handle the licenses and downlinks themselves. The TubeSat broadcasts and receives using amateur radio frequencies, but filing the paperwork can be a pain. 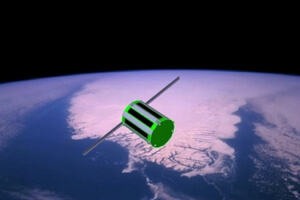 Soon, though, minuscule satellites may use laser communications instead of radio frequencies. NASA has begun experimenting with this technology, which can send much more data much faster, on some of its orbiting missions to the Moon and Mars. 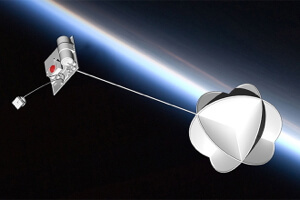 After that technology is proven in larger spacecraft, it will follow the pattern of miniaturization and end up aboard objects like the ThumbSat. While $8,000-$20,000 is still a lot for an individual to pay to send something to space, the cost has dropped with the size and will likely continue to. Maybe one day, kids will get femtosat DIY kits—and access to the universe—for their birthdays.